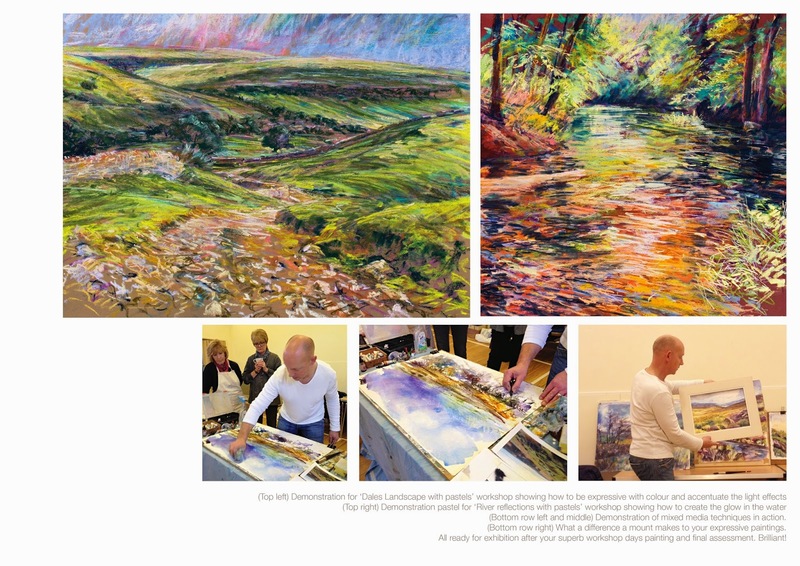 The Autumn season of full day workshops organised at Follifoot Village Hall, North Yorkshire ended on another high mid November with a full class of students creating some really outstanding Yorkshire Dales scenes with me using pastels on the fabulous Canson Mi-Teintes ‘Touch’ 350gsm pastel paper. I was delighted to introduce this exciting, responsive pastel support to everyone following a wonderful 4 day event at Birmingham NEC at ‘Art Materials Live’ 6 – 9 November 2014. 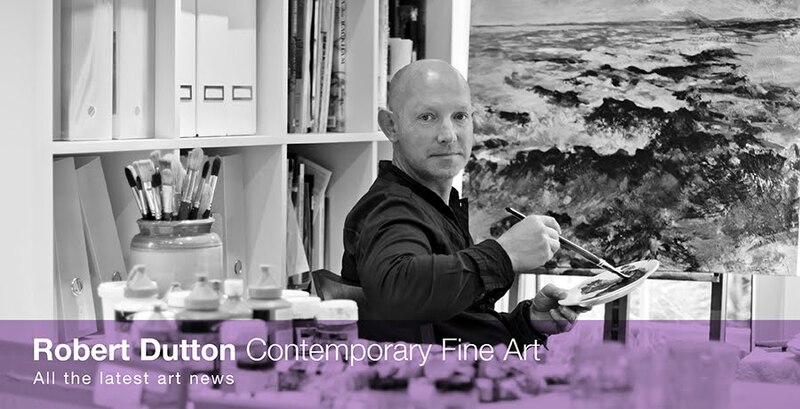 Having first worked for ‘The Artist’ magazine painting water lilies in 2 full workshops sponsored by Daler-Rowney using ‘System 3’ acrylics I then joined Canson and the French team for the remainder of the show demonstrating the responsiveness of the papers to all sorts of artists. Great fun! At Follifoot too there was a real buzz in every class as students discovered for themselves throughout each of the Autumn seasons workshops just how responsive Canson paper really are in all sorts of new and exciting ways. for creative expression. 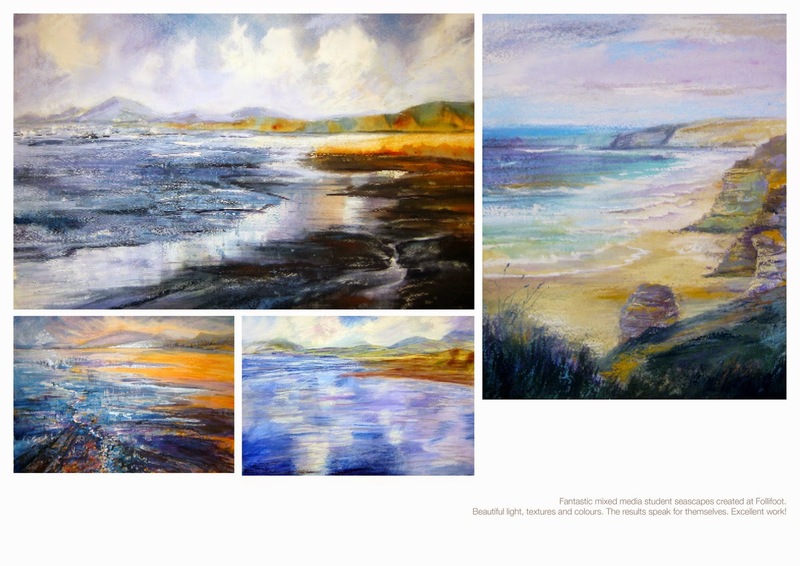 Subjects such as River reflections with overhanging trees seascapes (always popular) and Dales scenes with pastels showed all who came just how great 'just letting yourself go' can be with everyone creating some lovely paintings in the workshops. Using Canson Moulin Du Roy 300gsm (140lb) ‘Not’ and 'rough' watercolour paper for our mixed media classes, and Canson Mi-Tientes 'Touch' 350 gsm pastel paper, all who took paprt really experienced just how forgiving and easy to use the top quality Canson papers were to create great expressive and colourful paintings. Roll on the next Autumn '15 workshops. We will be using the Canson papers a lot more in the future, I guarantee it, especially since everyone found the papers absolutely great to paint upon! Just as a point to note, there won't be any Spring Follifoot workshops due to my commitments to residential art breaks and a new teaching holiday in Spain in 2015 and lots lots more other exciting art events for you to share with me!